Cheap Design? Cheats You & Your Brand! Yadda, yadda, yadda, and so on. Are you falling for it? 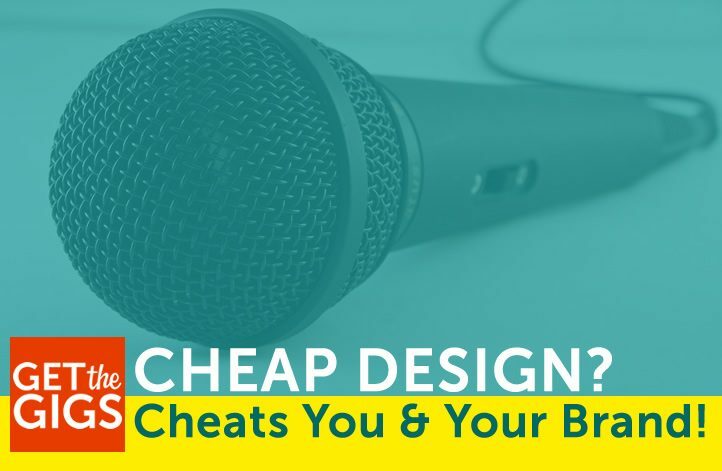 Cheap Design Cheats You … And Your Potential Audience! You see them all over! On Twitter, Facebook, Pinterest, etc. What am I talking about? The rash of blog posts and social media ads touting the wonders and benefits of DIY and freebie apps and tools to “design” your brand, your website, and more. Not so much in that it demeans what we do at Get The Gigs, but because articles like this, written by people who don’t do as they say while telling you what to do (the most recent was on a site that MOST DECIDEDLY WAS NOT built with a freebie web tool), are a disservice to anyone looking to create a strong and professional brand and presence online. You expect someone to pay you, and pay you fairly well, for your speaking expertise, don’t you? It’s the reason you’re running your business, right? 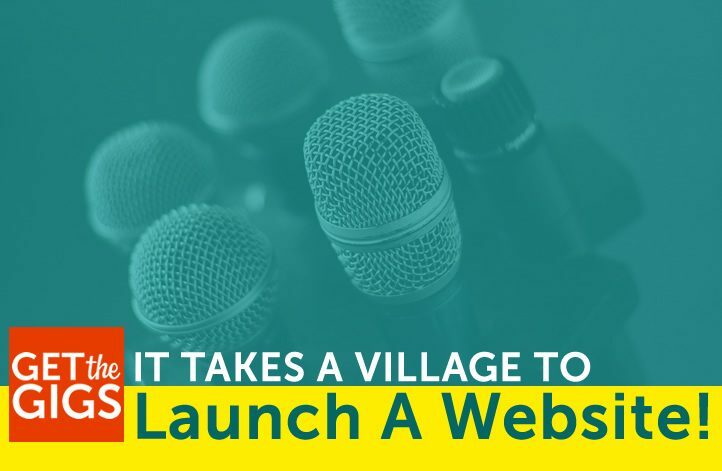 You don’t want your target market and audience going out and finding a freebie speaker to get by when your skillset and expertise can do so much more for their event! Yet, you’re showing that taking the freebie route is a smart option with that freebie site design. And possibly losing a gig. What else? All that outdated and convoluted language can make your site EXTREMELY slow to load. Potentials won’t wait around to see if the good stuff ever shows up. They’ll just move on to the next speaker who has a site that actually loads and provides them with quality information. I honestly could go on and on, stretching this article out with a laundry list of laments about freebie tools. But, I won’t – as deep down I’m sure you know that cheap isn’t really the catchy phrase you want to be tied to your business venture. https://www.getthegigs.com/wp-content/uploads/2017/11/new-cheapdesign.jpg 471 722 Mallie Hart https://www.getthegigs.com/wp-content/uploads/2018/06/GTG-w.png Mallie Hart2017-11-28 10:34:322018-06-21 20:10:47Cheap Design? Cheats You & Your Brand! Is Your Social Sharing Showcasing Or Shouting? I’ve been helping Derek with the growth of his social media following – especially on Twitter, along with his social sharing, and I’ve noticed a disturbing trend amongst many of the speakers and speaker coaches he’s chosen to follow. Said speakers don’t seem to grasp the “social” concept of social sharing. 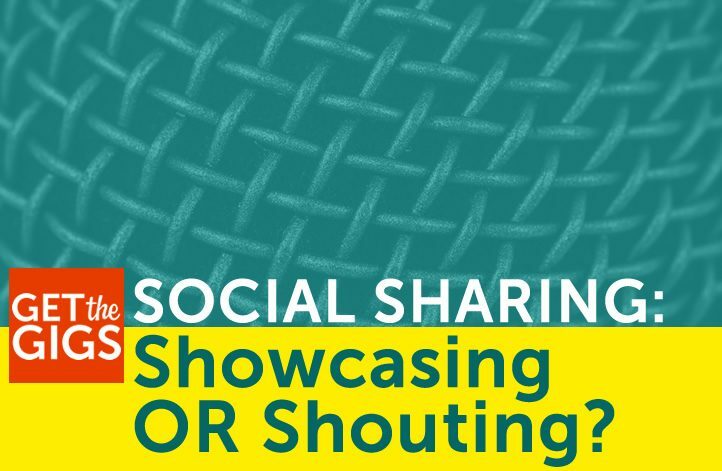 Social Sharing: Should Showcase, Not Shout! I get it. Of course you want to share your own blog posts, ideas and savvy snippets from your public speaking journey. As a speaker coach best practices are your bread and butter, and sharing those is smart. But the way you go about sharing best practices, tips, tricks, and articles is as important as the shares themselves. Too much “it’s all about me,” mucks up the works. Social is about sharing, not shouting from the rooftops. You only share your own content, over and over and OVER again. When someone tweets or retweets something you’ve shared or published, you don’t respond – AT ALL, but you do RT your own content. You’ve set up a ridiculous automated DM to go out to all new followers. You tweet the exact same tip (no revisions or changes to the text) three times in the same day, sometimes within the same hour! When it comes to effective social sharing, it’s important to consider the intent and purpose of your shares. Of course you’re trying to effectively showcase your expertise, your speaking or consulting success, your product and/or services. But social sharing is about balancing your best bits with the best bits you’ve found while interacting with others across the social space. You haven’t created ALL the content your given subject, now have you? Of course not! Social sharing is about delivering the best content, the best ideas, the top tips to your audience. And you can’t do that alone. Do you have a coach or mentor? Are you part of a mastermind or peer group? Do you read a lot of industry or niche articles? If you answered yes to any of those three questions you have something else to share! And your own content isn’t the only answer. Sometimes it’s not even the correct answer. Guess what? You’re not the great and powerful, Oz. You don’t have all of the answers. When you share the answers provided by your peers, colleagues and even your competitors, you showcase knowledge and an understanding that you don’t know it all. When you’re secure enough to share the ideas, best practices and smarts of your peer group, you’re sharing and being social, rather than shouting. When you answer the question, you win, even if the link shared doesn’t lead back to your own site. You’ve made the day of the individual who asked the question. You’ve also created an opportunity to connect and build a real relationship – with that individual and with the expert whose advice you shared. Showcase Knowledge, Even If You Didn’t Publish It! Sharing is caring. 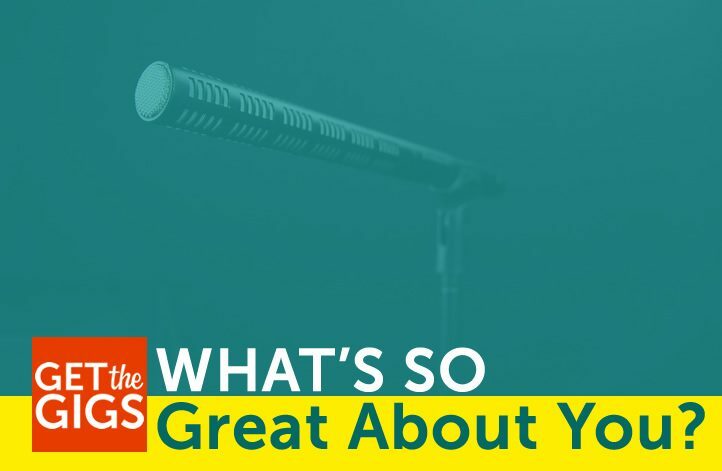 When your audience feels cared for they’ll continue to seek you out for answers and eventually you might make a sale, land a speech, get the gig. Smart sharing involves providing the best information, even if you didn’t create it. https://www.getthegigs.com/wp-content/uploads/2016/05/NEW-showcasing-or-shouting.jpg 471 722 Mallie Hart https://www.getthegigs.com/wp-content/uploads/2018/06/GTG-w.png Mallie Hart2016-05-10 13:48:022018-06-29 13:52:52Is Your Social Sharing Showcasing Or Shouting?